Previously on the Review, the argument was made that Glenn Beck is a yellow propagandist. The designation of "yellow" was derived from yellow journalism. The following piece about modern yellow journalism is being reprinted here with permission of the author, "Octopus" who writes for the blog "The Swash Zone." It was originally titled "A contest of madmen for the primacy of the sewer." It will be followed with a clip that demonstrates how Fox "News" gets their facts wrong for the purpose of a right-wing agenda. 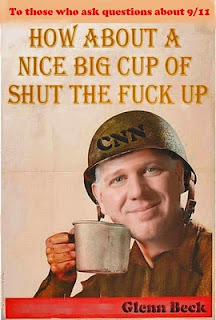 People who actually believe the nonsense and chain of disconnected fears that comes out of Glenn Beck's mouth can be said to be dumbed down; or more accurately perhaps, they become a soldier in his army of psychotics. A “hearty indulgence in self-congratulation” (Campbell) to drive circulation and sales, but not necessarily serve the public interest with accurate or newsworthy stories. 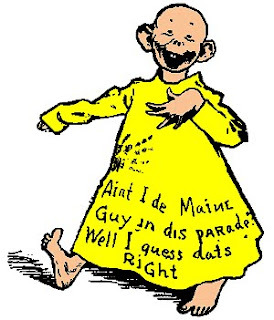 Originally coined by Ervin Wardman of the New York Press, the term ‘yellow journalism’ has never explicitly been defined, although popular accounts attribute the term to a comic strip character nicknamed the ‘Yellow Kid’ drawn by cartoonist Richard F. Outcault. Yellow journalism begins with the competitive rivalry between two publishing legends, Joseph Pulitzer and William Randolph Hearst. 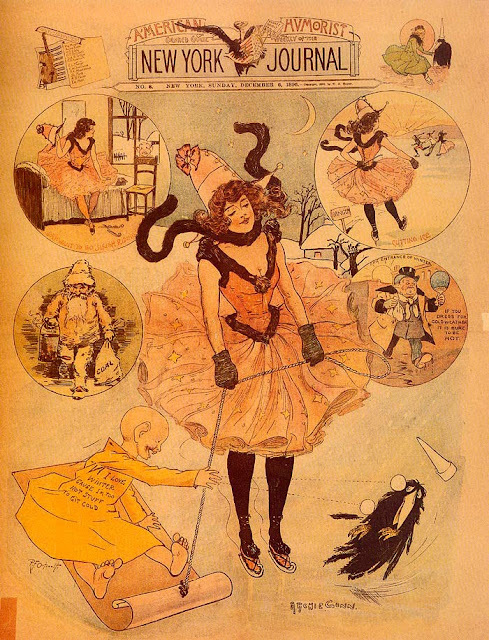 When Pulitzer bought the New York World in 1883, he introduced provocative headlines, pictures, games, and novelties to attract readers and boost circulation. Although Pulitzer was certainly an ambitious and aggressive newspaper entrepreneur, his motives were not entirely self-serving. Pulitzer also believed in journalism as a civic responsibility whose mission is to improve society. In an era marked by immigration, labor unrest, abuses of power, and injustice, Pulitzer transformed the World into the dominant metropolitan daily of New York City … and the leading voice of social reform. During his student years at Harvard, William Randolph Hearst read and admired the World. When Hearst inherited the San Francisco Examiner from his father in 1887, he resolved to turn it into a similarly engaging tabloid with editorial and layout innovations borrowed from Pulitzer. The Examiner featured garish headlines, crime stories cast as morality plays, crusades against public corruption, and scantily clad pinups. By 1895 and flushed with success, Hearst set his sights on new markets and acquired a penny paper called the New York Journal. All told, yellow journalism has been described as irritating yet irresistible, imaginative yet frivolous, aggressive yet self-indulgent, and activist but arrogant. These historical accounts are useful in understanding it’s contemporary reincarnations. Against this background, perhaps the more pressing questions to ask ourselves are: What has remained the same? What has changed? Should we be concerned? 40% accuse reporters of hiding their mistakes. 59% say newspapers are more motivated by profit than serving the public interest. Has anything changed from the Gilded Age to the present? Not according to these surveys. Yellow journalism is not some long deceased ancestor from a bygone era but living offspring born of the same DNA; and no cable news channel typifies the genre better than Fox News. ”Republicans originally thought that Fox worked for us and now we’re discovering we work for Fox. And this balance here has been completely reversed. The thing that sustains a strong Fox network if the thing that undermines a strong Republican party” (David Frum, March 23, 2010). [Fox News] has overturned standards of fairness and objectivity that have guided American print and broadcast journalism since World War II … Why has our profession, through its general silence – or only spasmodic protest – helped Fox legitimize a style of journalism that is dishonest in its intellectual process, untrustworthy in it [sic] conclusions and biased in its gestalt? For Howell Rains, the answer lies in economics, in the collapse of print journalism, and steep losses in audience share at CNN, CBS, ABC, and NBC. Even Roger Ailes, chief architect of the Fox News stratagem, boasts about seeing himself as a producer of ratings rather than as a journalist, that audience share is his only yardstick. Night after night on Fox News, under-educated former disc jockeys with scarcely a college course on their resumé expound on every conceivable topic – politics, economics, foreign affairs, energy, religion, and public morality. These bellicose, arrogant, and shameless clowns weave delusional narratives about how government death panels will kill your grandmother, how liberals will seize your guns and property, how a sinister art deco plot will subvert capitalism and corrupt your kids. Their daily fulminations are rife with fabrications, misinformation, and outright lies. Hannity and Beck are modern analogues of the charlatans and fraudsters that once characterized the yellow press. When we catch them in the act of dissembling, they reflexively lash out when criticized, demonize their opponents, or feign innocence by claiming the mantle of entertainment. Perhaps more to the point, they are the ‘yellow kids’ of broadcast journalism. 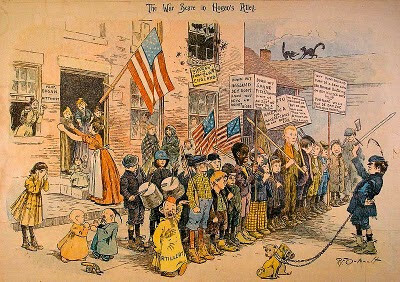 From the Gilded Age to the present, has anything changed? Historians debunk the myth that Hearst had provoked the Spanish-American War. There were thousands of independently owned newspapers with close ties to rural communities, and the vast majority of Americans did not live in population centers served by the yellow press. 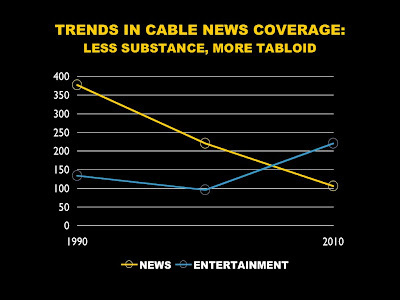 Thus, no tabloid had the reach or power to influence national opinion (Campbell). By 1975, however, two-thirds of all independently owned newspapers and one-third of all independently owned TV stations had disappeared. Twenty-two companies now control 70% of national newspaper circulation, and ten companies own broadcast networks that reach 85% of the American public. 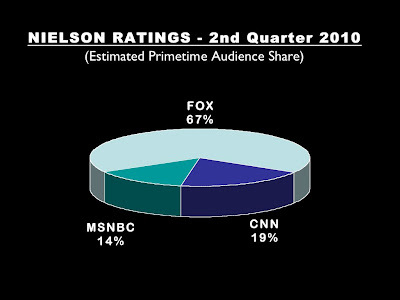 Five companies dominate the cable news network segment – the same ones that own the top Internet news sites. By far, Fox News commands the dominant position in the cable news segment, which gives it a powerful platform to push a hard line partisan agenda and move public opinion. If Roger Ailes understands yellow journalism, he also understands his audience - those undiscerning viewers who forgo critical thinking and prefer to have their morality pre-packaged in church pews and their politics shrink-wrapped on the nightly news. Should we be concerned? You betcha! We have long known how media can be manipulated – by paying journalists to promote a corporate or industry viewpoint, by hiring PR firms to feed stories to the press, by faking news with maliciously edited videotape, by using smear tactics to destroy reputations, by repeating hot-button weasel words to propagate suspicion and fear, by leveraging the powers of government to shape public opinion and sell a war. We understand intuitively how often our news networks have failed in their mission and betrayed our trust. Surprisingly, differences in party affiliation and educational attainment do not fully account for these results. Among Republicans, those who got their news from cable networks had a 25% higher error rate compared with those who got their news from PBS/NPR. For viewers with a college education, the error rate for cable news consumers averaged 27%, compared with only 10% for patrons of PBS/NPR. 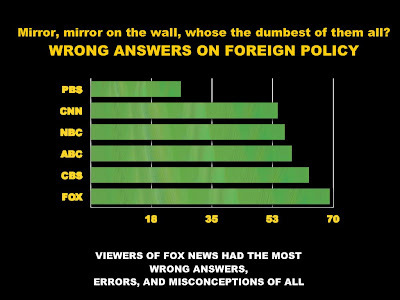 Clearly, cable news networks are failing to inform the public, and the worst by far is Fox. "You think we have come a long way in terms of race relations in this country, but we keep going backwards. We have become more racist. This was their doing. Breitbart put that together, misrepresenting what I was saying, and Fox carried it" (Shirley Sherrod, July 21, 2010). That’s the way it is in 2010. American news journalism has finally fulfilled the ambitions of its progenitors by turning itself into “a contest of madmen for the primacy of the sewer.” Good night and good luck. 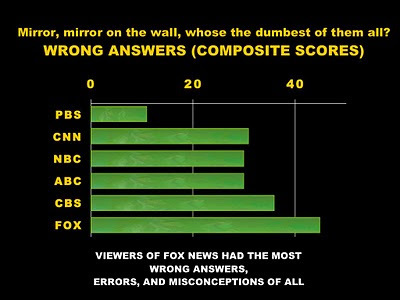 It's not just Glenn Beck; Fox "News" purposely gets their facts wrong. ABC News, David Frum on GOP: Now We Work for Fox. W. Joseph Campbell (2003), Yellow Journalism: Puncturing the Myths, Defining the Legacies, Praeger. Daily Source, Current Problems in the Media. 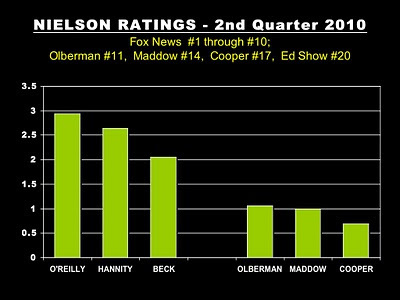 Huffington Post, Cable News Ratings: Top 30 Programs In Q2 2010. Media Matters, Shirley Sherrod: I'm a Victim of Breitbart, Fox 'Racism'. Frank Luther Mott (1962), American Journalism: A History: 1690-1960, 3d ed., Macmillan. Bill Moyers, Keynote Address to the National Conference on Media Reform. Howell Raines, Why don't honest journalists take on Roger Ailes and Fox News? 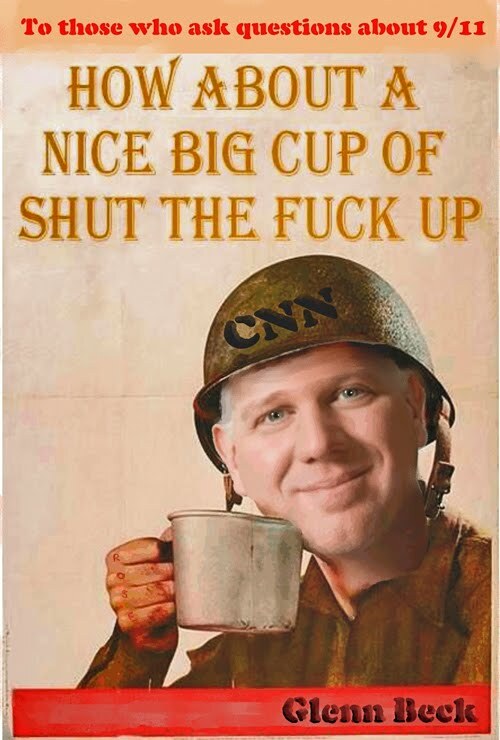 “Glenn Beck returned from his week-long vacation on Monday, and used his first day back on the job to respond to a widely-discussed New York Times piece that said that Fox News was "contemplating life without" him. Beck launched into a nearly 15 minute monologue which his website, The Blaze, estimated contained 2,640 words. Among other things, Beck touched on his relationship with God, the situation in the Middle East, global warming and his fan base. But he also delivered a cryptic message about his future plans: "the only thing in life that is constant is change." The world makes one complete rotation in 24 hours. How long does it take American journalism to turn night back into day?